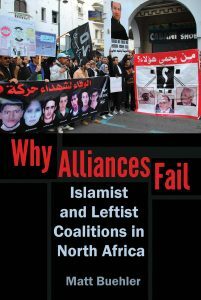 The Middle East and North Africa Politics Section of the American Political Science Association (APSA) invite nominations, including self-nominations for founding officers in the following positions: (1) Middle East and North Africa Politics Section Newsletter editor and (2) Middle East and North Africa Politics Section program and award committee member. The Section Newsletter editor(s) will serve as its editor for a term of 2 years, renewable. The Newsletter will continue on and replace the APSA MENA Newsletter and will be published approximately twice a year. The content and format of the Newsletter will be determined in consultation between the editor and the Section leadership, and could include materials such as news and opportunities for Section members, summaries of relevant events and publications, short original research essays, review essays, and more. In addition to a CV and a statement of interest highlighting any previous editorial experience, proposals should present suggestions for the Newsletter’s content, format and mission. We will begin reviewing proposals on January 1 and continue to accept proposals until a decision is made. Please send proposals as a single PDF to Section Chair Marc Lynch (marclynchgwu@gmail.com). The program and award committee members will review paper and panel proposals for the APSA annual meeting, the Research Development Group held in conjunction with the annual meeting, and nominations for Section Awards (Best Dissertation in Middle East Political Science and Best Middle East Political Science Paper Presented to the APSA Annual Meeting). Program and award committee members must be current section members and will serve for one year. Self-nominations for the Program, RDG, and Award Committees should be sent to Section Vice-Chair, Lindsay Benstead (benstead@pdx.edu). The committees will be selected and begin activities on January 1. For regular updates on the MENA Politics Section, please follow us on Twitter @apsamena and feel free to contact us at apsamena@gmail.com with any questions.